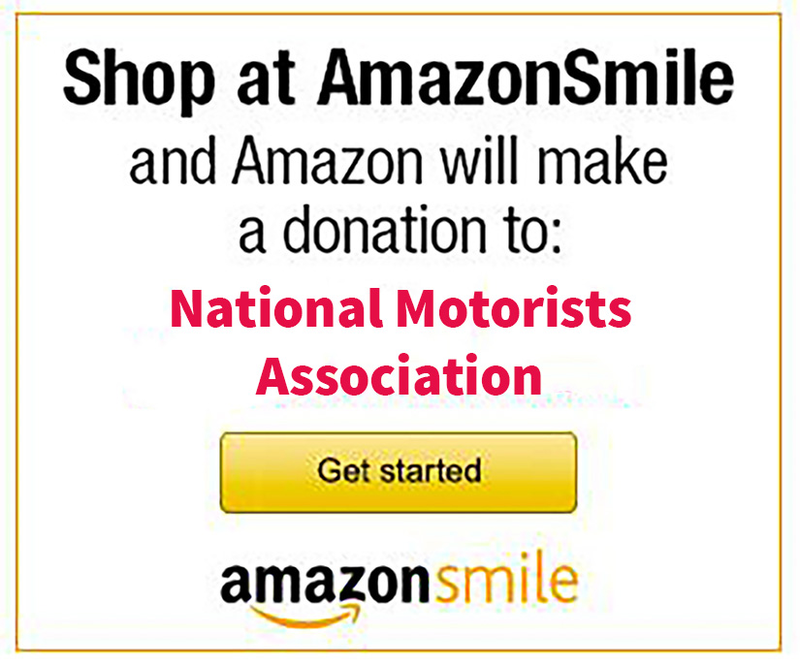 An E-Newsletter Reboot gives you another chance to read still relevant content from the National Motorists Association. NMA E-Newsletter #344 which first appeared on August 16, 2015 has some relevant information if you are ever stopped in a DUI Roadblock. If you would like to receive our weekly email newsletter, register with your email address by clicking here. You may have seen this video of an attorney using a novel approach to navigate his way through a DUI roadblock. Essentially he refuses to have any personal contact with the officers by putting his papers in a plastic bag and hanging them out a mostly rolled-up car window. The officers wave him through without saying a word in what seems to be a staged event. We question if most officers would react this way. Why take the chance of escalating a traffic stop into a full-blown confrontation—with potentially tragic consequences—by literally zipping up? Your best protection is a reasoned interaction with the police supported by a full understanding of your rights during such a stop. First, always keep documents like your registration and insurance card in a readily accessible location. When the blue lights go on, find a safe place to pull over, always on the right side of the road whenever possible. Next, turn your dome light on and place both your hands on the steering wheel where the police officer can see them. This makes him more comfortable about his safety. If you can, roll down your window and vent the passenger compartment of accumulated odors prior to actually stopping. Be courteous, but admit to nothing. During the stress of a traffic stop, many motorists become nervous and chatty. Resist the urge. You are under no obligation to provide the officer with any information beyond that on your driver’s license, vehicle registration or proof of insurance. Any admission, however inconsequential, will be used against you. Even admitting to having “one drink with dinner” provides the officer with cause to investigate the matter further. Without that admission he must base his decision to pursue a DUI arrest on your driving or mannerisms after that stop. If the officer asks if you have been drinking, return his question with a question such as, “Would you like to see my license?” A burned-out headlight is not an indication of impairment and neither is a refusal to chitchat about your night’s events. “I have nothing to say on that,” is a good neutral response. The officer may ask you to step out of your vehicle, which the courts say is permissible. He may ask you to perform certain physical tests, “just to prove you’re capable of driving safely.” Politely decline. The sole purpose of these test is to provide justification for a chemical test (breath, blood or urine) to determine your BAC. Few ever “pass” one of these roadside sobriety tests, not even the most sober of drivers. You are not required to perform these tests and there is no penalty for refusal. However, thanks to implied consent laws, most states do require you to submit to a chemical test, or face severe penalties including a driver’s license suspension and even potential jail time for multiple instances of refusal. Many now allow a refusal to be used as evidence against you in a trial. Check here for an overview of implied consent laws and DUI laws by state. DUI attorneys are divided on whether to provide consent for a chemical test. On one hand, refusal can lead to an automatic administrative suspension of your license and even a criminal charge with penalties approaching those of a DUI charge. On the other, the lack of test results makes the DUI case against you more difficult to prove. In some cases police can get a roadside warrant to administer a chemical BAC test without your approval. While you may have no choice in that circumstance, always be aware of the actions of the officer and careful of what you say. If the officer has not informed you of what may happen if you refuse to take the test or has not produced a warrant authorizing the test, the subsequent results could be ruled as inadmissible in court. If you are not impaired, it is usually advantageous to have the traffic stop video recorded. Many police cars now have dash cams for this purpose. If you believe it would be helpful to your defense, ask the officer to turn the camera on to record the stop. This also says you are not afraid to have your mannerisms and demeanor judged in court. It’s very difficult for a police officer to claim your “speech was slurred” or that you were “staggering” when a video shows a composed articulate defendant being interrogated by a uniformed, gun-toting agent of the law. If you notice that the officer is intent on sticking a flashlight in your face or in your car, the flashlight may be equipped with an electronic alcohol sensor that detects the presence of alcohol. You do not have to accept this “probing.” You can instruct the officer to keep the device away from your face and out of your vehicle. He is free to look into your vehicle, but only from the exterior, unless he requests to search inside. Never voluntarily permit a search of your vehicle. To search your car, an officer must have probable cause or at least reasonable suspicion, depending on the jurisdiction. He must be able to describe what he is looking for and why he believes he will find this specific illegal item in your vehicle. If the officer decides a chemical test is justified you typically have three choices: breathalyzer, urine test, or blood test. Frequently, the police will use a breathalyzer test for the initial screening. However, you sometimes have the option of taking one of the other two tests, at your request. A breathalyzer test is the most inaccurate means of measuring your BAC. Without going into detail, it should be understood that the error factor can be very high. Some states have agreed that breathalyzer tests are not trustworthy and therefore limit their use in court. That said, if a breathalyzer test generates a reading that confirms your BAC is less than 0.08, you should be free to leave. If the reading is higher, and you believe it is in error, consider requesting a chemical test (even if you have to pay for it yourself) which will be more accurate and will demonstrate your confidence in your sobriety. A legitimate police stop for a suspected drunk-driving incident should not have to rely on trick questions, sensing devices, or gimmicks to justify a chemical test of the driver. The driver’s lack of control of the vehicle, his inability to reasonably react to questions and requests, and his physical reactions will be a dead giveaway of his impaired condition. Unfortunately, in today’s MADD world, you cannot expect to get fair treatment alongside the road or in the courtroom. All the more reason to never drive drunk and to practice good self-control if you are pulled over.